Foam-free columns enhance breathability and disperse impact. SuperLock layers sock fibers into guard shells for security. Tapering at shell edges creates a sensation of disappearing into the leg. Flexible shells mold to the curvature of your legs for a natural silhouette. 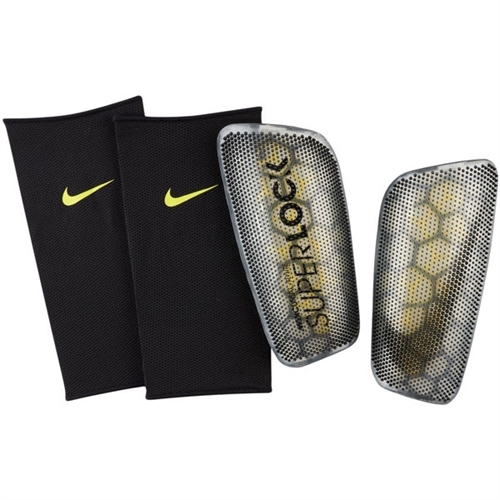 Our Nike Mercurial Lite Shinguard blends ultra-thin coverage with superior cushioning and impact diffusion for optimal performance that's designed to withstand the demands of the elite-level game.